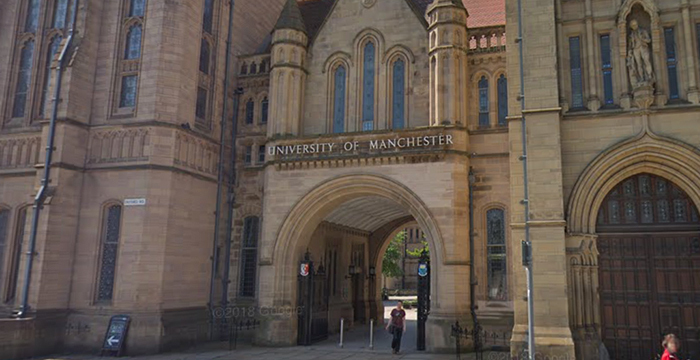 A plan to merge the University of Manchester’s Schools of Law and Social Sciences has been met with concern by students, with some claiming the move could have a detrimental impact on their future job prospects. If given the go ahead, the Russell Group uni’s law faculty will integrate with the School of Social Sciences, which is already home to a range of subjects including economics, philosophy, politics and sociology. Now, in an email sent to students and seen by The Mancunion, university bigwigs have said the move would benefit both schools, “with no academic disadvantages”. The email, signed by the university’s students’ union (SU) general secretary, Fatima Abid, and Olivia Meisl, the SU’s education officer, follows a report published in September which looked at both the pros and cons of the move, including the views and opinions of current students. The tie-up will see the new combined school operate as the ‘School of Social Sciences’ from 1 August, subject to approval by the university’s senate and board of governors, according to the report. Presumably a cost reducing measure by the uni. Still beyond me how these mediocre institutions sell themselves as being “elite” simply for being part of the RG circle. I understand it’s better than unis like Newcastle/Sheffield, but in all honesty, not like it would make much different to anyone’s career prospects if these schools would merge or not. Any UoM student is still likely to struggle to get into any decent firm/company simply because the university is not good enough. What an odd and slightly embittered thing to write. Manchester is consistently ranked in the top 10 universities for law in the country, and its alumni are to be found in MC firms and in silk. Also UEA is ranked as a top 10 law school in the UK just to show how pointless said rankings are. All UoM alumni at “top” institutions are simply there because the market was not this competitive in the 80’s/90’s. UoM right now are going nowhere. Show me on this doll where the University of Manchester touched you. That won’t be necessary officer, this is a Magic Circle doll, it doesn’t even know what UoM is! So the doll is already up its own arse. How fitting. I am guessing the person who wrote this went to Leeds Uni? Or another RG institution in Manchester’s shadow? It’s recycled from the Mancunion, the student union newspaper. Quite. Manchester graduates rightly have little chance to enter prestigious parts of the legal professional – ie, magic, silver circle, top US firms and leading Chambers. This is because such graduates are by definition intellectually second rate and badly educated. They have no place in a profession where clients expect the cleverest people to represent them. “by definition second rate’…..are you really that stupid? Not sure where you heard UoM we’re selling themselves as elite. Mediocre generally means of average quality. I think they’re considered above average. Also what rubbish that a student from that uni would “struggle” to get into any “decent” form or company.. I know a few of people from UoM and similar universities who are at US/MC/SC firms. You really have no idea what you are talking about. To denounce Churchill is as good as saying Hitler should have won. You owe your freedom to the memory of that great man. Ironically, Churchill would have welcomed you to debate your point of view, even if he disagreed. Hitler would have had you shot. Well all those administrators’ resignations made the faculty dean’s job of turning 2 departments into 1 much easier! ‘All those’? One. But how many more could go and how would that impact on the experience of students in both Schools? What other changes may be next? And the decision to merge two Schools into one has nothing to do with the number of staff in each one. See above and reference to ‘steam roller’ in leadership. The present culture of denouncing anyone we disagree with seems predicated on the proposition that people do not change their views. See, inter alia, Liam Neeson. While Churchill expressed views in the earlier part of his career that we may find abhorrent today (assuming Lady Astor’s gender, for one), the views he held were nevertheless mainstream at the time. However, like any open minded person, Churchill was open to new ideas and moved with the times. Sometimes he was ahead of his time, others he had to catch up. It was he who had a hand in such progressive ideas as the national insurance safety net, and had he won the election after the War we would still have had universal free healthcare (look up the Conservative 1945 manifesto), albeit on the basis of public funding of private institutions, like the Canadian system today. Churchill’s wartime speeches showed that by then he eschewed any ideas of racial superiority and recognised that such ideas were evil. If it hadn’t been for Churchill’s leadership during the War, we would have most likely been subjugated by Hitler’s genocidal regime. If anyone needs to atone for expressing outdated ideas in their youth, I think saving the world from Nazism is sufficient redress, non? IF the issue is about nomenclature, why not simply merge the titles to “School of Law and Social Sciences” or “School of Social Sciences and Law”. Then you maintain the perceived reputation benefits of being attached to the School of Law. Surely it is reasonably common practice for an entity resulting from a merger to be named so as to recognise its constituent elements? In any case, if naming is the problem isn’t it all moot given that a prospective employer will surely focus on the name and classification of the degree and, to an extent, the university, as opposed to the name of the school within that university? Common sense, indeed. Maybe a change of name had been suggested and discarded. The quality of the degree is key, I agree, yet will future cuts in resources impact on this? I fear that Legal Cheek will now not delete comments for ‘breaching the comments policy’ but for ‘getting side-tracked’. I thought it was relatively clear that University management do whatever the hell they like regardless of the opinions put forward by students or lecturers. Its just a mini government with the same lack of any accountability. VPs getting paid too much money? No ones going to change that. Seems like a stupid and unnecessary idea that’s being forced through by university managers. Will degrade the student experience and is clearly dragging Manchester’s name through the dirt. I wonder how many redundancies there will end up being. This is not the reason why you’re unable to get a TC or pupillage. Those are the Redbrick Universities. Warwick, too. Dreadful place, packed with kids from comps. In fact, it looks like a giant comprehensive school. Russell Group yes, red brick no. add Oxbridge to that list – absolute disasters of lawyers – almost all oxford educated students stagnated in first year of their undergraduate degrees – FAILURES IN REAL WORLD! Hahahah yes!! so true! Every oxford student we employ is a mistake nowadays. Big changes going to happen in the next five years.